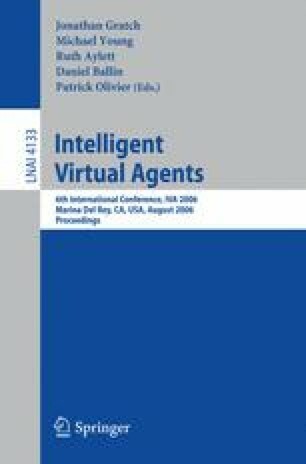 When using virtual characters in the human-computer interface the question arises of how useful this kind of interface is: whether the human user accepts, enjoys and profits from this form of interaction. Thorough system evaluations, however, are rarely done. We propose a post-questionnaire evaluation for a virtual character system that we apply to COHIBIT, an interactive museum exhibit with virtual characters. The evaluation study investigates the subjects’ experiences with the exhibit with regard to informativeness, entertainment and virtual character perception. Our subjects rated the exhibit both entertaining and informative and gave it a good overall mark. We discuss the detailed results and identify useful factors to consider when building and evaluating virtual character applications.